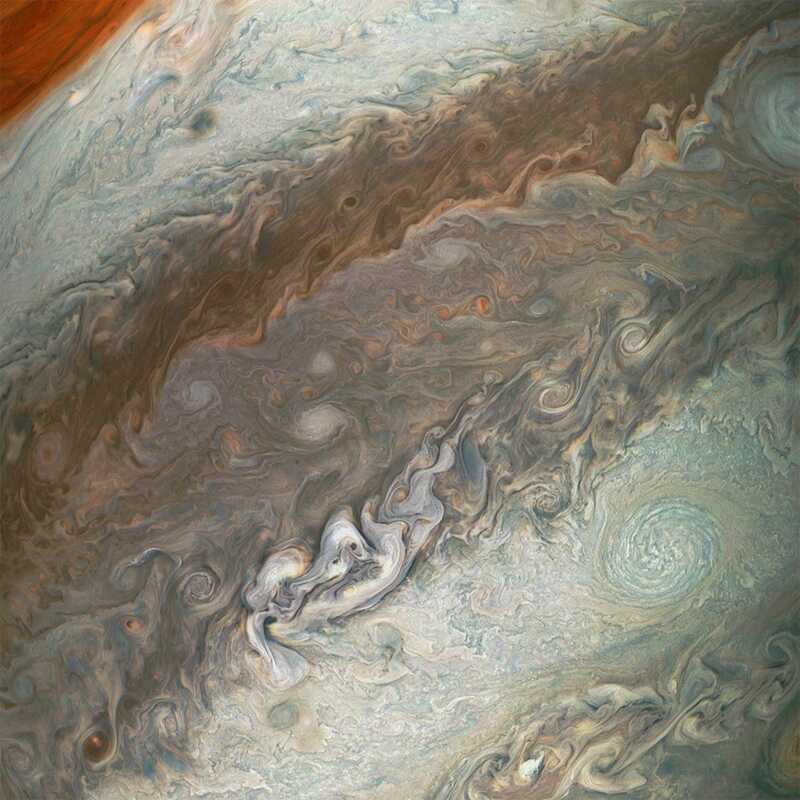 Once every 53.5 days, NASA‘s Juno probe screams over Jupiter‘s cloud tops roughly 75 times as fast as a bullet. 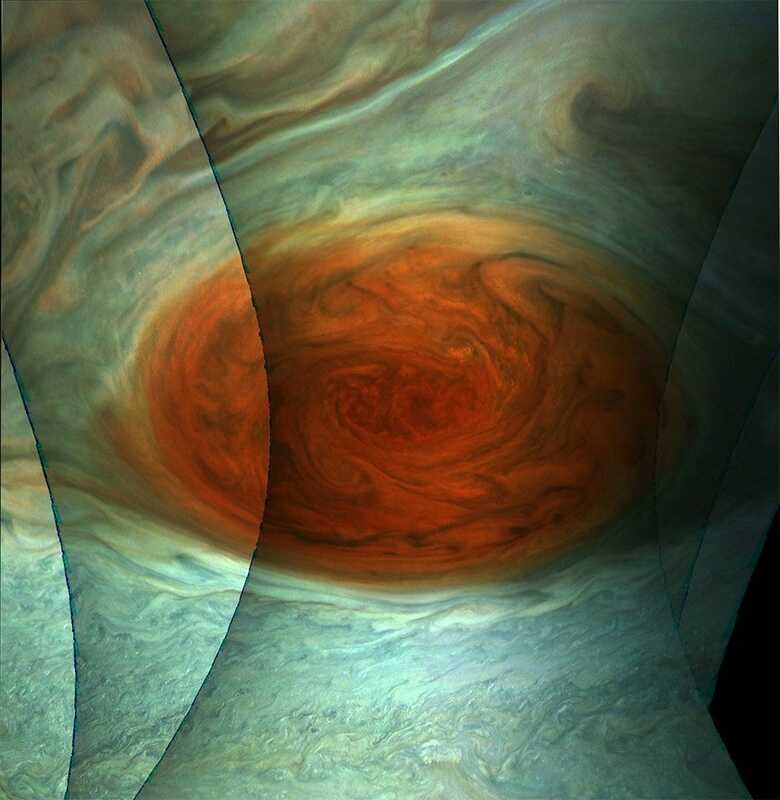 The spacecraft has used these high-speed flybys, called perijoves, to document the gas giant like never before since August 2016. It records the planet with radar systems, radiation detectors, magnetic and gravitational field recorders, and more. 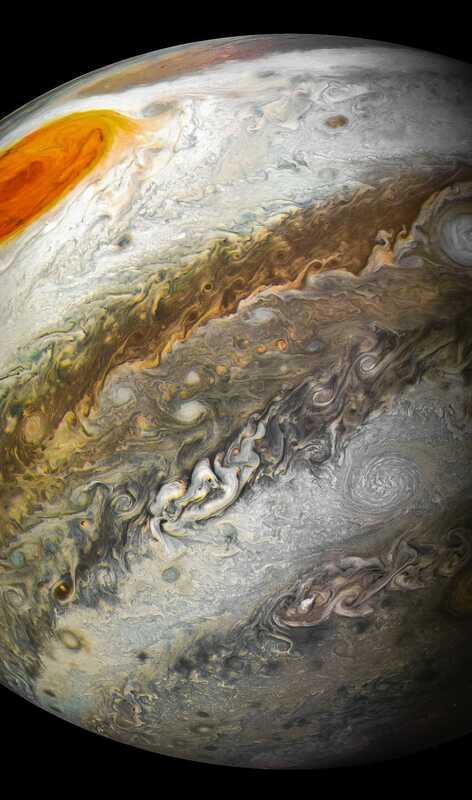 But NASA’s beautiful new images of Jupiter come from an optical camera called JunoCam. 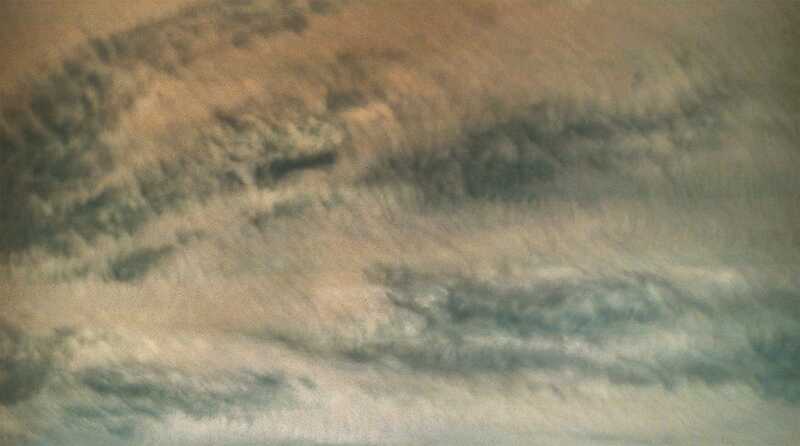 After each perijove, the space agency uploads the raw photo data to its websites. 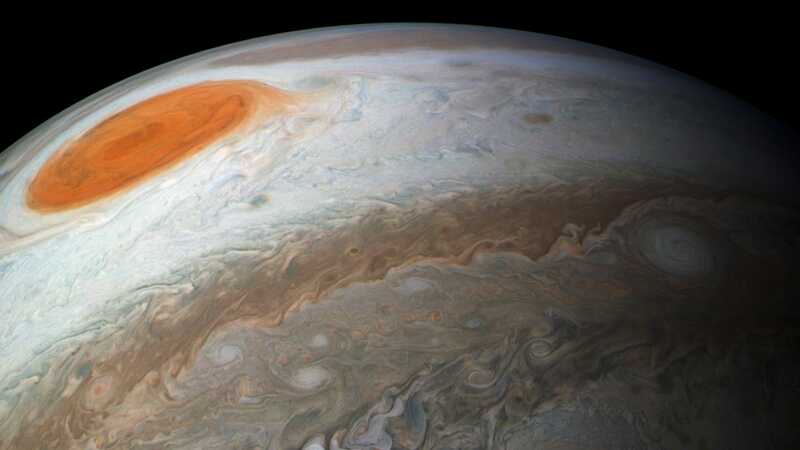 Juno finished its 12th perijove on April 1. 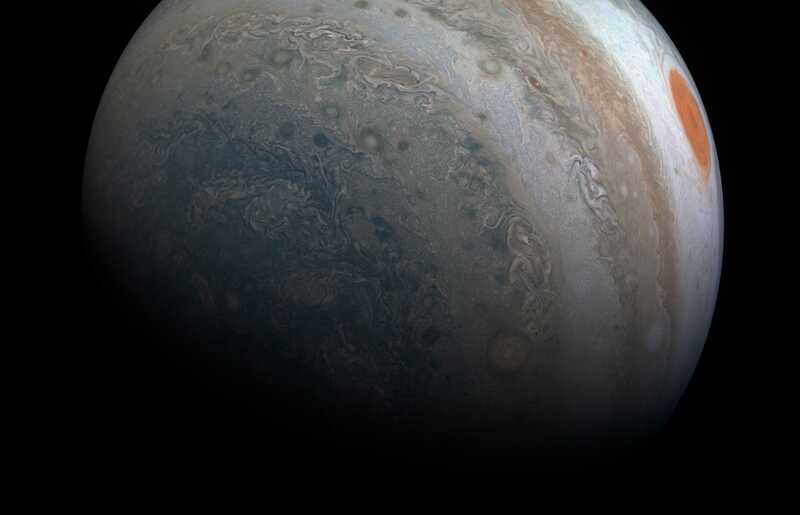 Since then, people around the world have downloaded JunoCam’s raw black-and-white data, processed it into stunning colour pictures, and shared the files for all to see. 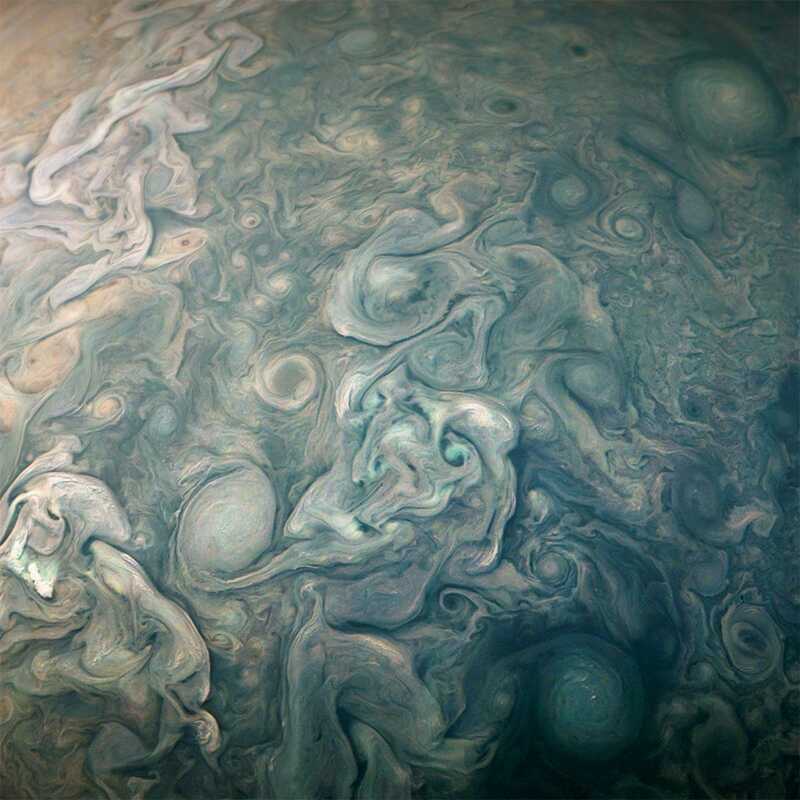 “Jupiter is in constant flux so it’s always a surprise to see what is going on in those cloudscapes,” Seán Doran, a graphic artist and a prolific processor of JunoCam images, told Business Insider in an email. He added that it can take hours to complete a single image. 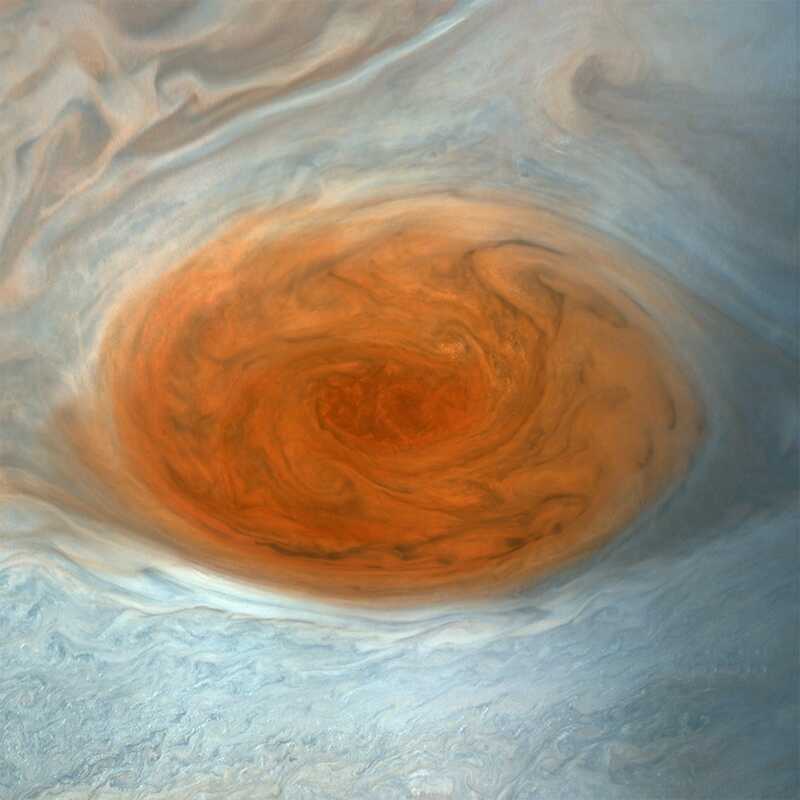 Here are some of the most dazzling portraits of Jupiter – and its shrinking Great Red Spot super-storm – that Doran and others have created in the past week. Juno makes a highly elliptical orbit over Jupiter’s poles. It’s a compromise between getting unprecedented new data and staying out of the planet’s intense radiation fields. 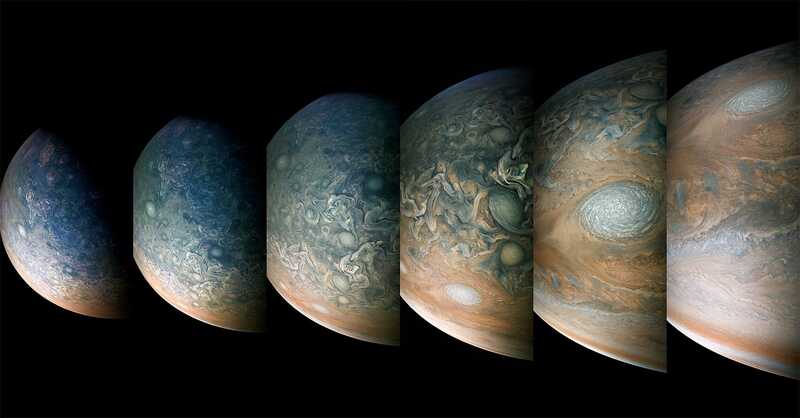 During each perijove, which lasts a few hours, the JunoCam instrument uses a “push-broom” technique to snap a series of photos of the planet, creating a zoom-in, zoom-out effect when looked at in sequence (from the world’s north pole to its south pole). 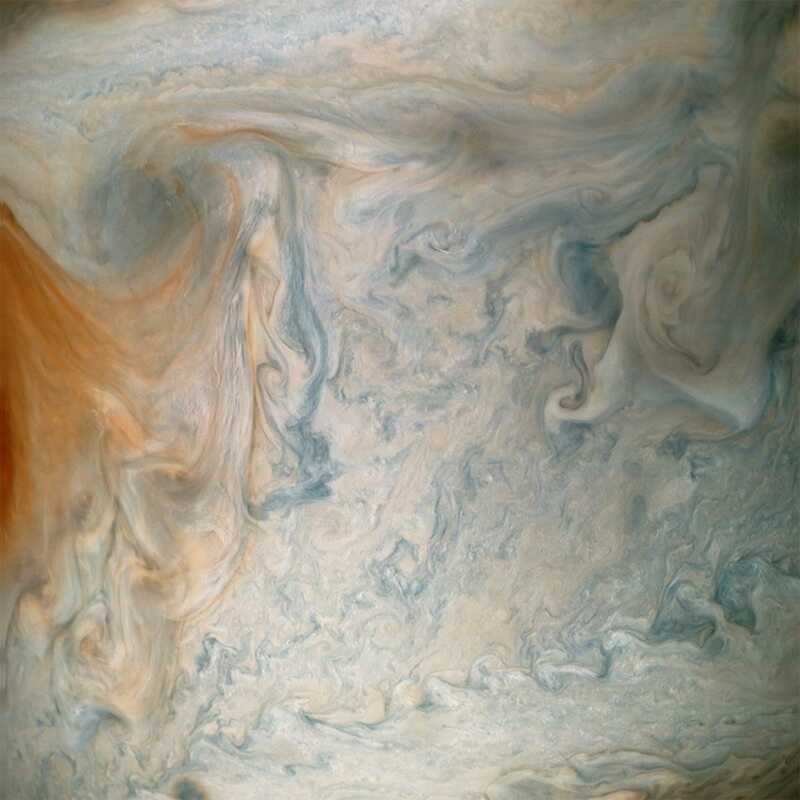 Other close-up photos show a mess of turbulence in clouds near the Great Red Spot. Juno passes within a few thousand miles of Jupiter’s cloud tops at each perijove’s closest approach. During this manoeuvre, the probe reaches a speed of about 130,000 mph (200,000 km/h). 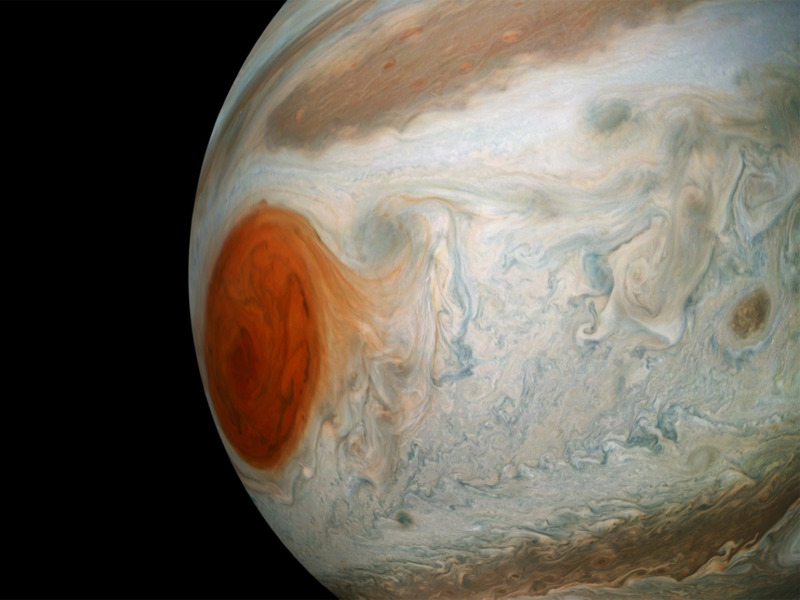 This image shows how several different photos of the Great Red Spot in July 2017 were stitched together. Europa, and another icy moon called Ganymede, likely have oceans of liquid water – and possibly extraterrestrial life – beneath their surfaces.